The senior class has been working madly on their senior video all week. 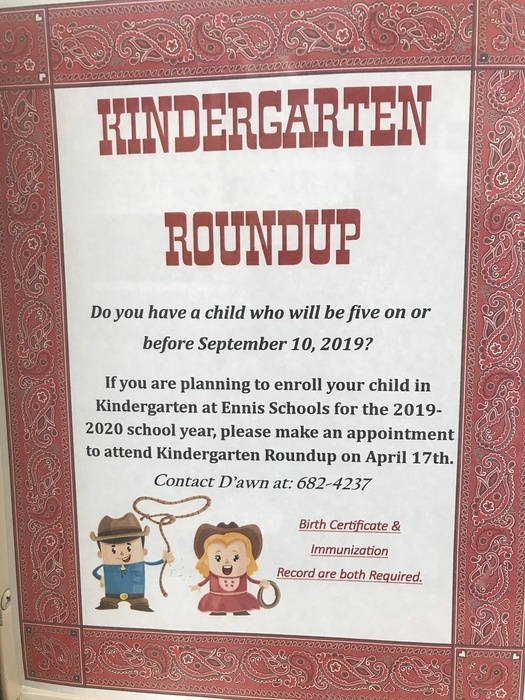 Kindergarten Roundup: Just a reminder that the annual Ennis Schools Kindergarten Roundup for next year's Kindergarten students is scheduled for April 17th. Please view the image for more details and call the Ennis Elementary Office at 682-4237 to sign up a student. 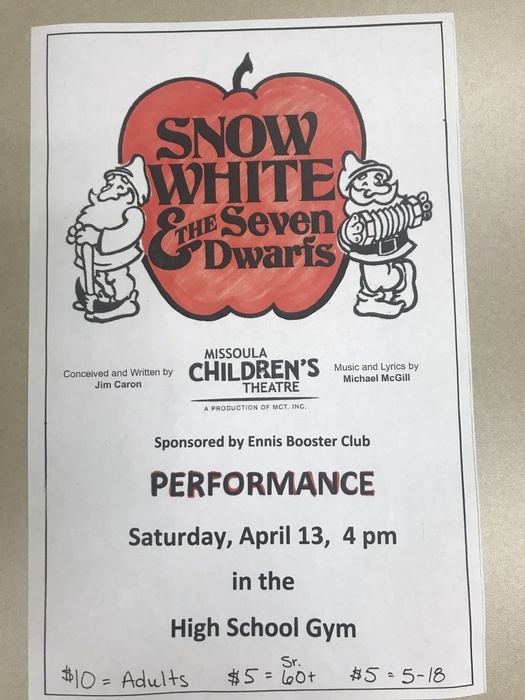 Please come join us for the Missoula Children's Theatre Performance of Snow White and the Seven Dwarfs on Saturday, April 13th at 4 p.m. in the Ennis High School Gym. 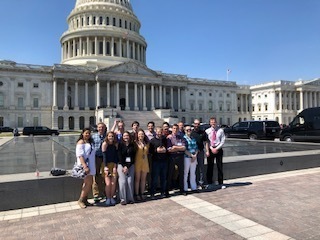 The Ennis Close-Up group is in Washington, DC this week. Today they are at Capitol Hill. 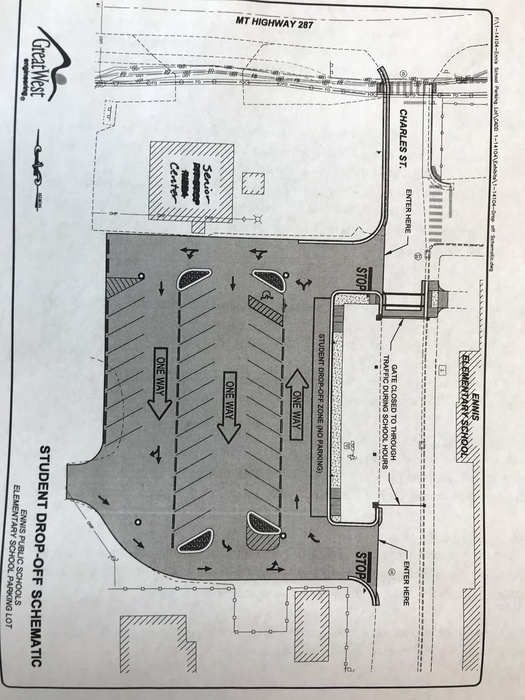 Elementary Drop Off/Pick Up Reminder: please use the designated drop off/pick up zone(see attached schematic). The emergency parking and handicapped parking zones next to the elementary office are reserved for those purposes. Please call the elementary with any questions. This is what it's all about!!! 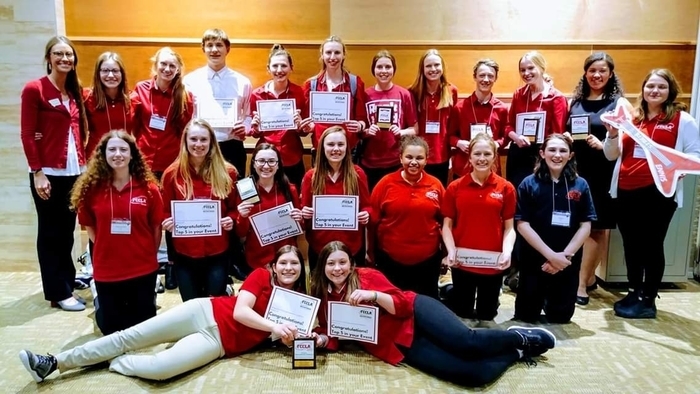 Outstanding job to the Ennis FCCLA students. Very proud of these kids and Ms.Diehl for a tremendous showing at state. Thanks to all of them for representing Ennis in such a positive way. Very proud of their success! Rehearsals for the School Play are under way and the set is starting to take shape. 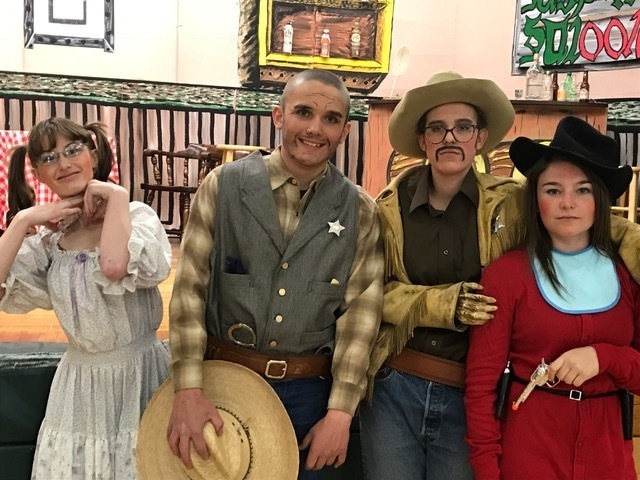 The play involves a lot of hard work from the students and advisors but also volunteers. Jen Doney, Jack Finley, and Donna Jones are currently painting the play set. We appreciate the time and energy these volunteers put in to making the set come to life. Prom 2019 is in the books! 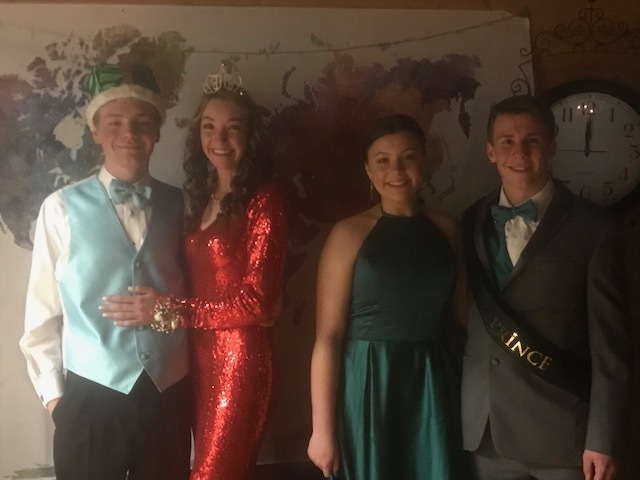 The prom royalty was crowned at the Grand March with Prom King Trevor Swanson, Prom Queen Amanda Russell, Prom Princess Maddie Barsness, and Prom Prince Zayne Sanborn. Very proud of our National Honor Society students. What a wonderful induction ceremony last night. Great food and great company. Outstanding job kids, we are very proud of you! Our high school kids are participating at Academic Olympics today. The middle school students went yesterday. They have all represented Ennis Schools well. Reminder to all K-12 parents: there is no school on Monday. School will resume Tuesday. Have a great St. Patrick's Day weekend! 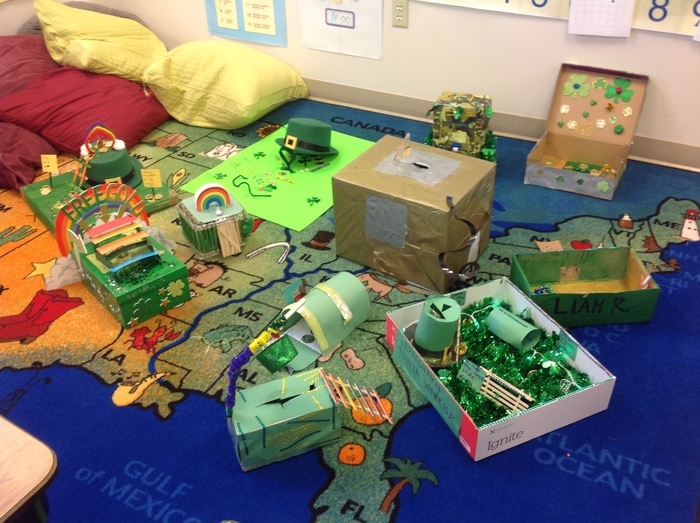 1st Graders in Mrs. Rice's class are trying to lure in some Leprechauns! See the attached picture! After Prom will be held on March 23 from 11:45pm until 4am. Registration will be open from 11:45pm-12:45am. Doors will be closed and locked at 12:45am. Information and After Prom Rules have been sent to all high school parents. Please look over and call with any questions. Prom is quickly approaching on March 23! The doors will open at 8pm with the Grand March happening at 8:30pm. The dance will end at 11:30 with After Prom shortly thereafter. Production of CSI-Wonderland is underway! Students in the library are going fishing this week. Fishing for a good book that is! 1st day for HS softball practice and the 1st year for softball for Ennis HS. Coaches and girls working hard and hoping for nicer weather to get outside. High school kids playing cards game at lunch! Did the cell phone tower go down? We concluded the week with a school wide pj/movie party. 200 kids had the best time......and one took a nap! During Read Across America week we did a writing activity! Each grade wrote thank you notes to clubs or businesses in the community. We appreciate all the hard work and dedication that supports our community. 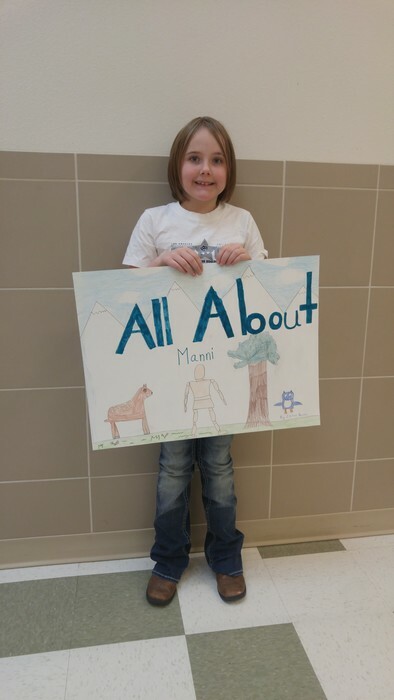 You're Invited to "All About Manni" the 3rd Grade Art Show!!! When: Today! Thursday, March 7th Where: Madison Valley Public Library Time: 4:00 - 6:00pm (Come and go as you need) We hope to see you there!!!! Green Eggs and Ham for lunch for the final day of Read Across America! Our "Give Back to the Community" Read Across America project was thank you cards to special people in our community! Thank you Officer Moore for making our town and school a safe place. Summer seems so far away, dress like it's summer for the day! Even if there is two feet of snow outside! It's "couch potato day" for Read Across America Week. First graders enjoying Read Across America week in the library. Due to the Madison River now flowing over Highway 287 and the weather conditions as they are, we want students who are riding the Cameron bus that live past the river to get home as soon as they can to ensure their safety. The in town kids riding the Cameron Bus will need to be picked up by their guardians after school. The bus will be departing at 12:30 from Ennis Schools. Thank you. Read Across America starts this week. The theme is: The Big Bad Wolf! The door decorations are from Mrs. Brozovich's room and the Resource room. Lady Mustangs end their season 3rd place in the Division. Since Charlo beat Arlee in the championship, we cannot challenge. Great season Lady Mustangs and coaches, we are very proud of you. Congratulations Lady Mustangs on your 1st place finish at District's! Juniors get into the "speed dating with a book!" Senior night for basketball and speech, drama, and debate is tonight at 5:20. Please come and honor these student athletes. 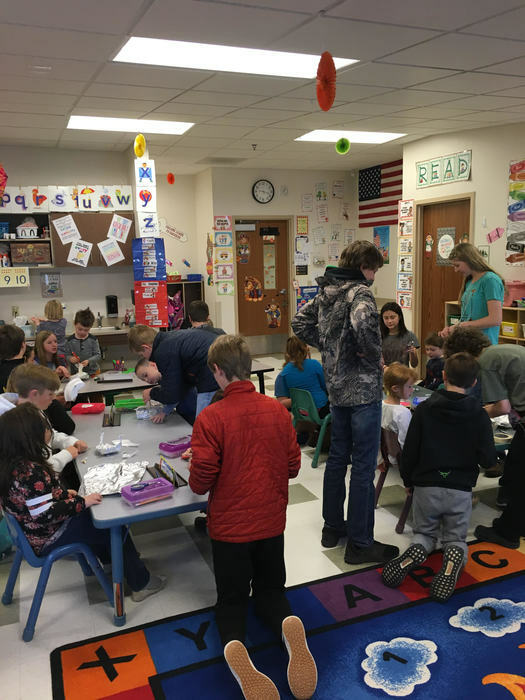 When the weather's to cold to go out for recess, the teachers do an excellent job getting creative with indoor activities to burn off a little energy. 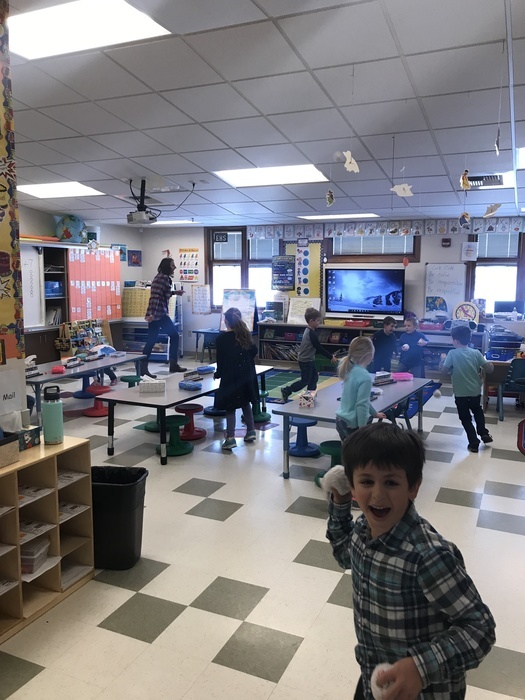 Here is a picture of Mrs. Klein's kindergarten having a "snowball" fight with puffy balls. I walked in and the fight was on! 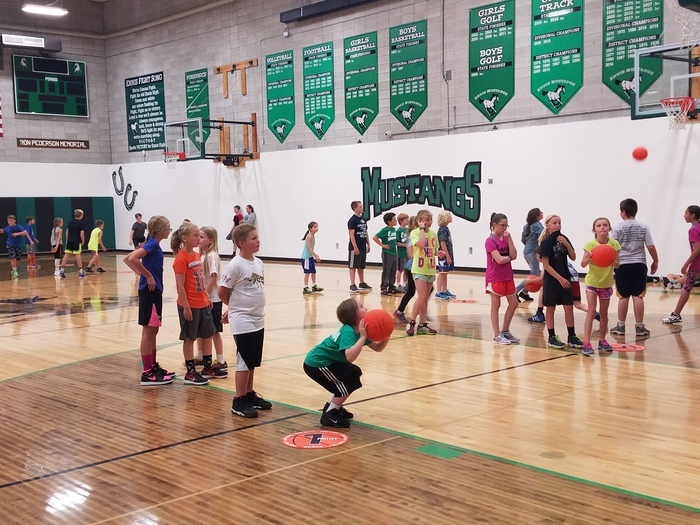 The 3rd-5th Grade Little Mustangs who have been practicing on the weekends will be playing at half time of the Boys and Girls Varsity games on Thursday, Feb. 7th. The boys will play at half time of the boys varsity game and the girls will play at half time of the girls game. Board games in the library when it's too cold to go out for recess! 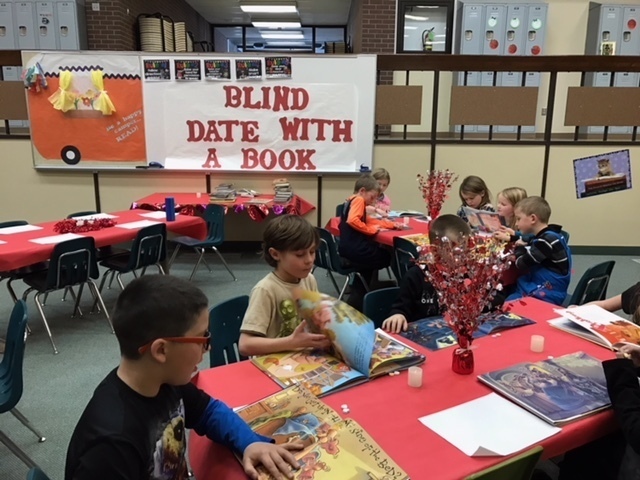 Fun in the library with "Blind date with a book" time. The Strategic Planning meeting for Feb. 6th at 3:15 p.m. has been cancelled due to poor travel conditions for the facilitators. Read Across America week is quickly approaching. February 25-March 1 will be a fun week with crazy dress up days and fun reading activities. Please see attachment for a description of these dress up days. Strategic Planning has been rescheduled for Wednesday, February 6 @ 3:15. We welcome community participation. Your voice is so important! The students helped celebrate Dave Walker's birthday this week. 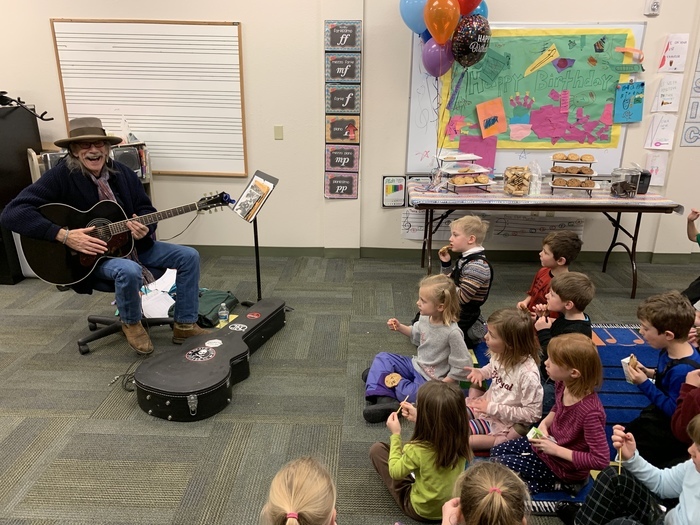 Mrs. Allen has been teaching music genres this month and invited Dave in to not only celebrate his birthday, but to also talk to kids about music genres. He shared pictures of him with The Beatles, Savoy Brown, performance at Carnegie Hall in New York and many more. Thanks Mrs. Allen for making this a fun filled day for kids and celebrating music! Starting at 5pm tonight, the varsity games versus Lima will be streamed on the NFHS network. Boys JV game tonight in Sheridan has been canceled. Schedule tonight is as follows - 4:30 1/2 JV girls, 5:30 VB, 7:00 VG. STRATEGIC PLANNING THAT WAS SCHEDULED FOR TONIGHT, JANUARY 23RD HAS BEEN CANCELED!!!!!!! 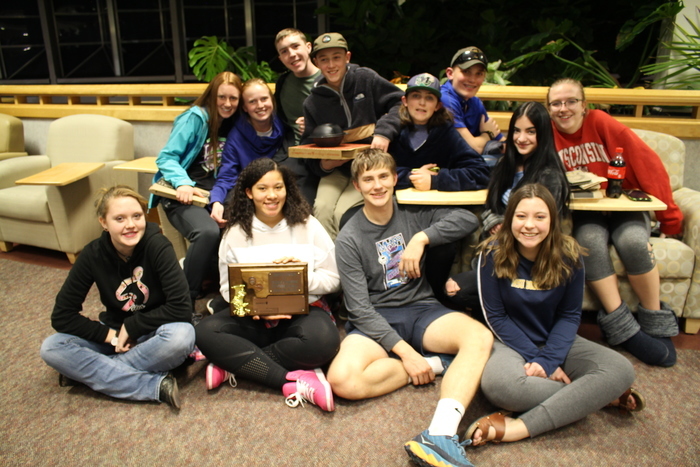 Over the weekend, the Speech, Drama, and Debate team placed third in Drama at the Southern B/C divisional tournament in Missoula, 5 of our students will be moving on to State this weekend at Three Forks. Outstanding job to some awesome kids! We welcome shareholders from the community to attend this week's strategic planning session with MTSBA. We are in year two of the strategic plan and we are making incredible gains in our district. We will meet January 23rd at 5p.m. to discuss the plan further and action plans moving forward. If you are coming, please contact the school to confirm your attendance! January 21st was a teacher PIR (Pupil Instruction Related) day at Ennis Schools. 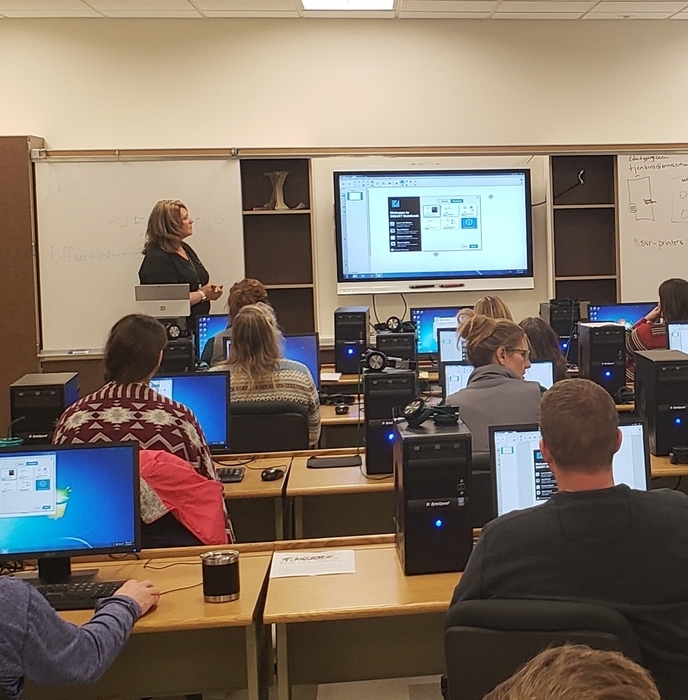 All Staff received Smart Board Training from TEST out of Missoula. Due to the generous support from our community, we have Smart Boards in all classrooms for teachers to utilize in their teaching.. We cannot thank the community enough for their support! Busy day this Friday with basketball! We will have JH girls starting at 3p.m. in the elementary gym and HS games will start at 1:00 in the HS gym. Please check the events portion of the website for details. Also, the girls and boys varsity games will be streamed live through the NFHS network starting at 5p.m. 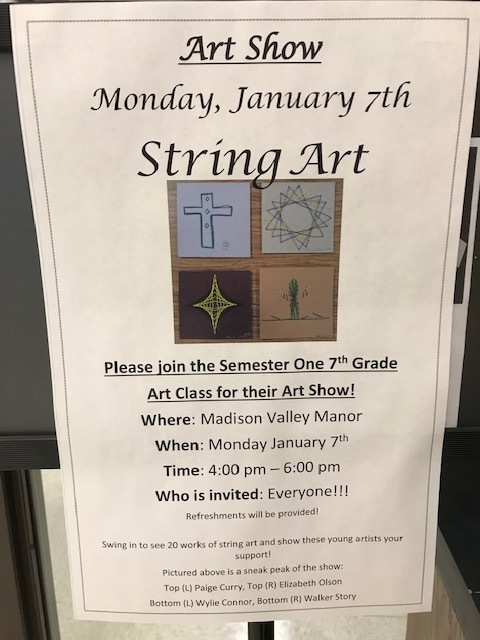 Semester One 7th grade Art Show is Monday, January 7, at Madison Valley Manor from 4-6pm. Please see the flyer for more information. HS basketball this Saturday, January 5th versus White Sulfur Springs will start at 2:30 with JV boys, 4:00 varsity girls, 5:30 varsity boys. Varsity games will be streamed starting at 4 through the NFHS network. On behalf of Ennis Schools, we wish you a very Merry Christmas and a Happy New Year! Thanks for the continued support of our school, staff and students! The library received a present today! Thank you to the Gilbert family for the book donation! 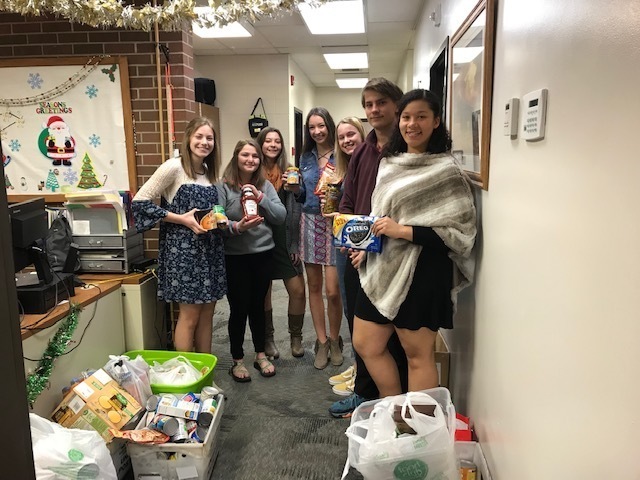 The High School Student Council sponsored a food drive this week as a class competition. The students brought in a total of 361 pounds of food to donate to the Food Bank. The Freshman class was the competition winner and will have an extra Holiday party next week. Great job! 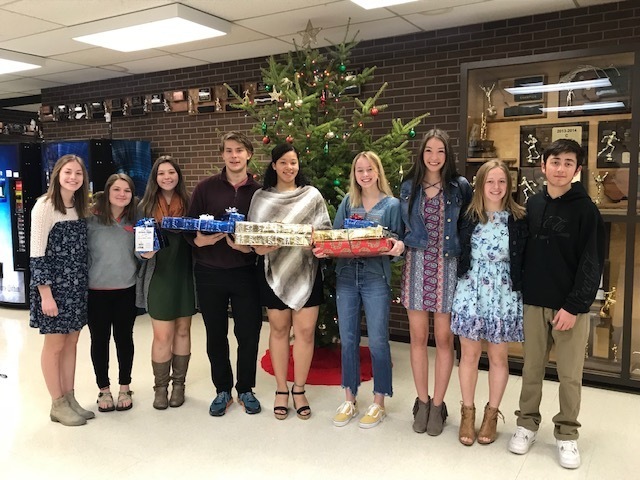 The High School Student Council shopped for the Ennis Giving Tree this week. They purchased and wrapped presents for four of our local children. This is one of many service projects they will be doing this year. 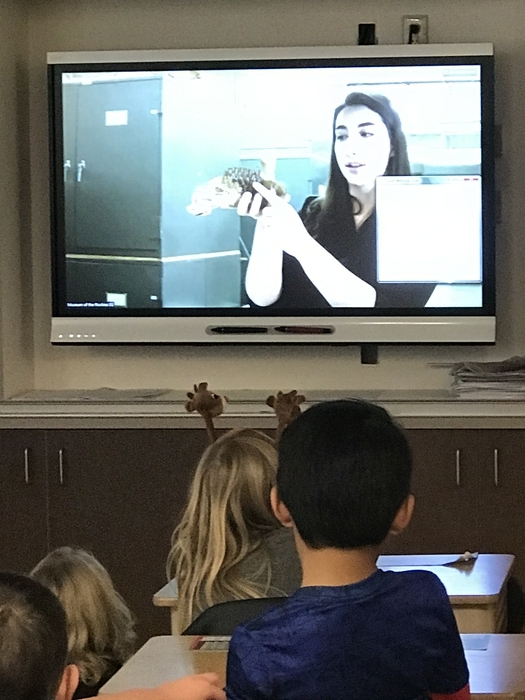 2nd graders take part in a Museum of the Rockies Fossil webinar with other schools around the state on their classroom smartboard. It was so neat to see their engagement and hear their great questions! The Art Mobile is in Ennis Friday, November 30 in the Junior High Commons area. Our students will be able to enjoy and learn about different artists. There will be an open house from 5-7pm for the public. I mustache you to recommend a good book! Your never too cool to wear a mustache! Reminder: School releases early (2:00 p.m.) on Tuesday, Nov. 20th for Thanksgiving break. School will resume on Monday, Nov. 26th. Happy Thanksgiving! 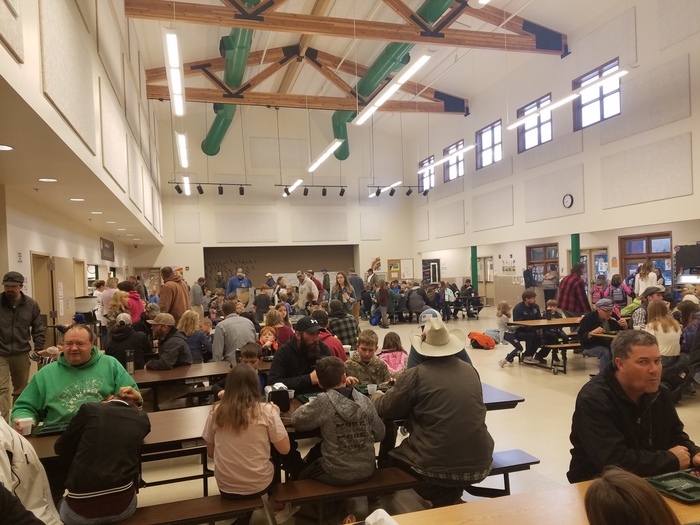 What an outstanding crowd this morning for our annual Doughnuts for Dads. We served 192 kids and 110 dads! Thank you to all the dads, grandpas, guardians, etc., for attending and being a very important part of your child's education. Also, a huge thank you to the lunch staff and teachers who helped make this a success. Reminder - Early Release Thursday, Nov. 15th at Noon for P/T Conferences. Conferences will run from 1-6 p.m. Reminder: Doughnuts for Dads is this Wednesday, Nov. 14th from 7:15 - 7:45 a.m. in the cafeteria. Students - please invite your Dads or another important male figure in your life to enjoy a doughnut and to thank them for all they do! Lady Mustangs lose 3-0 to Bridger. Congratulations to our players and coaches on a great season. It didn’t go at state like they hoped, but Mustang Pride lives on. Lady Mustangs drop second set 25-19. You can do it ladies! Lady Mustangs taking on Bridger this afternoon. Dropped the first set, but picked up some momentum going into the 2nd. Go Mustangs! Mustangs fall to Belt in five. Play tomorrow at 2:00. You can do it ladies! Belt takes 4th set, we have a barn burner folks! Come on Mustangs! Lady Mustangs take 3rd set 25-17! Up 2-1 in the match! Lady Mustangs take second set 25-19 and are knotted at 1 set each with Belt! Lady Mustangs drop first set against Belt 25-21 in second round action. Lady Mustangs take 4th set and win 3-1. They play Belt tonight at 8:00. Go Mustangs!!! Lady Mustangs take 3rd set 25-20! Up 2-1 in the match! Lady Mustangs drop 2nd set to Scobey 25-18. We are tied at 1-1. Lady Mustangs take first set against the Scobey Spartans 25-18! State tournament time for our Lady Mustangs! They will take on Scobey at 4:00p.m. This game will be streamed live through the NFHS network. If you cannot make it to the game, take advantage of watching it on the NFHS network. GO MUSTANGS!! Ennis Lady Mustangs earned 2nd place at the Divisional Volleyball Tournament! Great job ladies! 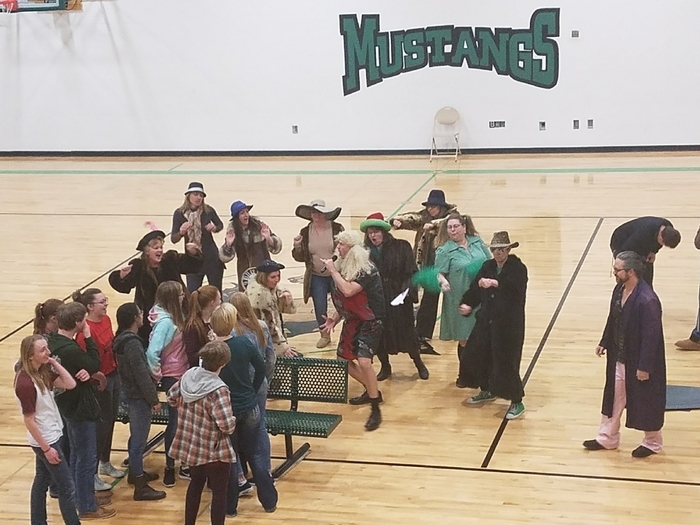 The Lady Mustangs will play at 4pm Thursday against the Scobey Spartans. Please check out the NEWS section for the bracket. Good Luck MUSTANGS!! 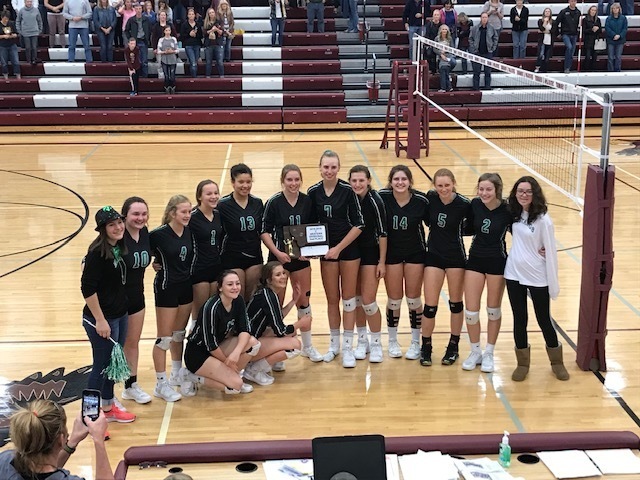 Congratulations to the Lady Mustang Volleyball team on their 2nd place finish at the Divisional tournament and for qualifying for the State tourney next week! Lady Mustangs beat a scrappy Charlo Viking team 3-0 tonight to move on to play Gardiner tomorrow morning at 11 am. The winner of that game plays Manhattan Christian for the Divisional championship. The Lady Mustangs are getting ready to take on Charlo for the right to play tomorrow morning. Go Mustangs! The Lady Mustangs stay alive in the Divisional tournament defeating Plains 3-0. They will play again tonight at 7 pm. Their opponent is still being determined. Good luck Lady Mustangs! Lady Mustangs fall short to Gardiner in Divisional VB action 3-2. They will play at 2:30 today and play the winner of ClarkFork/Plains. Go Mustangs! Don't forget the Elementary Halloween Costume parade at 2:30 p.m. today! 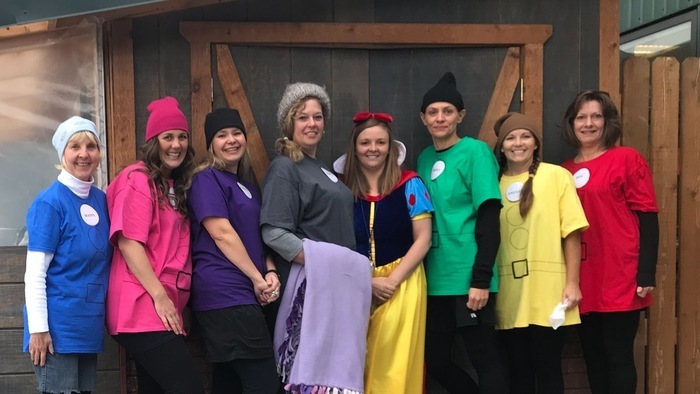 Snow White and the Seven Dwarves visited Ennis Elementary for Halloween! The Ennis volleyball team is heading to their divisional tournament this weekend at Manhattan Christian. Their first game is this Thursday at 2:30. Come cheer on the Lady Mustangs! 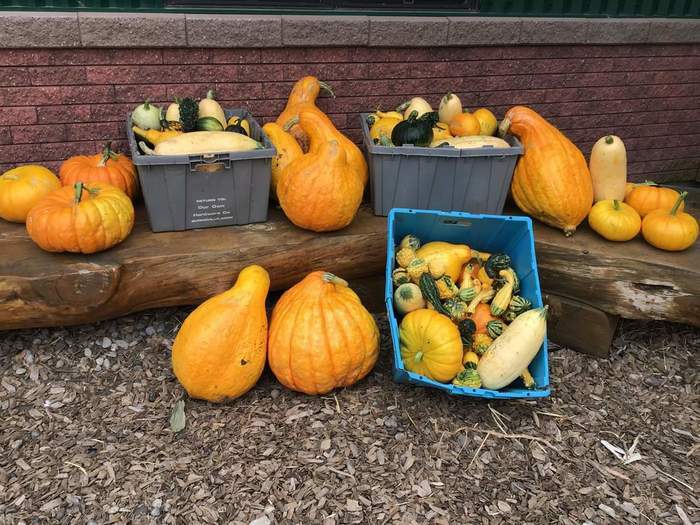 Our students had a great pumpkin harvest from the school garden and the Jeffers garden with seeds they had planted themselves. 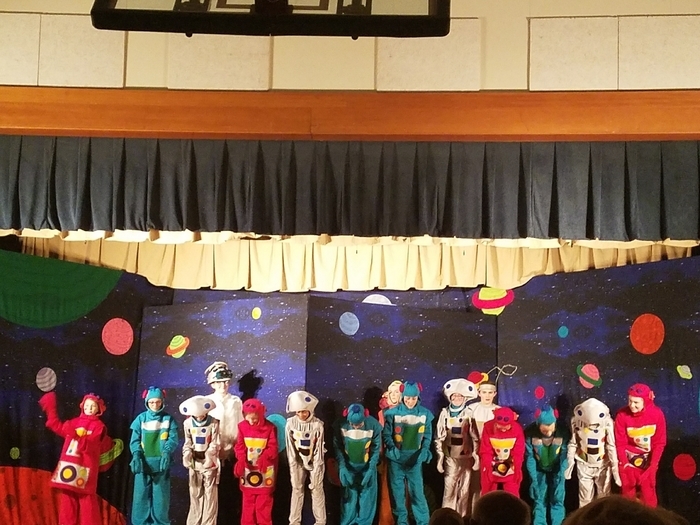 Great job kids and the GROWW program! Happy Fall! Students in the library are having fun with campfire stories! Mrs. Pederson has set up a tent for story time, with a black panther and "campfire" outside. What a fun week for the elementary students! Great season to the Ennis High School football team and coaches. They faced a tough Culbertson squad in first round playoffs and fell short. Your school and community are very proud of your hard work. Lady Mustangs clinch the District Championship and punch their way to Divisionals next week at Manhattan Christian. 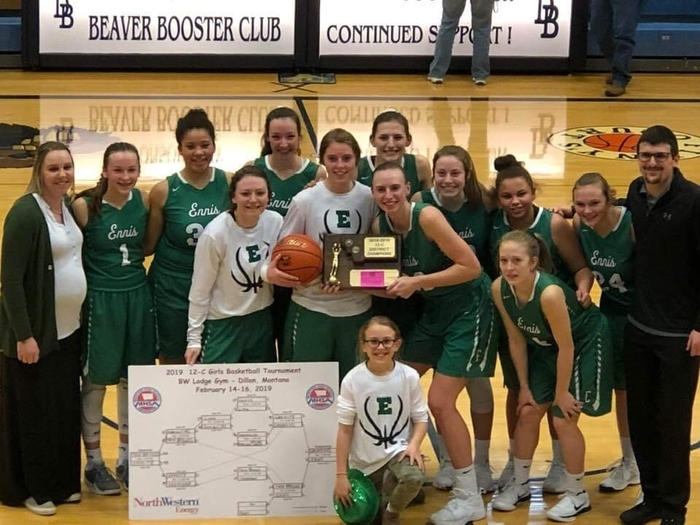 Congratulations Lady Mustangs and coaches! Your school and community are very proud of you! Congratulations to the Lady Mustangs in their semifinal victory tonight against Twin @ the District VB Tourney . They will play Friday at 2pm in the chip. GO MUSTANGS! Good Luck to all of our coaches and student athletes in the post season. Please check out the NEWS section for the brackets. Football will travel and take on the Culbertson Cowboys this Saturday, October 27th at 1p.m. 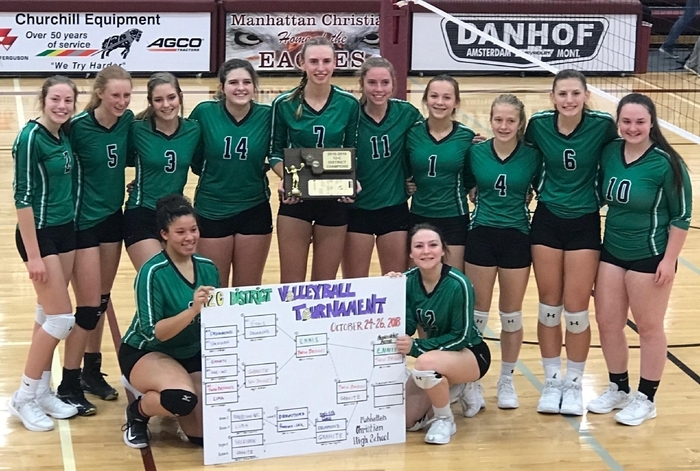 Volleyball travels to Manhattan Christian and will play Thursday, October 25th at 11am. We had a send off this afternoon for our Cross Country runners. They are heading to Missoula to compete at the state cross country meet on Saturday. Good luck Mustang Cross Country Team! CUSTODIAN NEEDED IMMEDIATELY for 2018-2019!!!! OUTSTANDING BENEFITS!! Please check out JOB OPPORTUNITIES on the website for more information or call SUPT. Casey Klasna @ 682-4258. 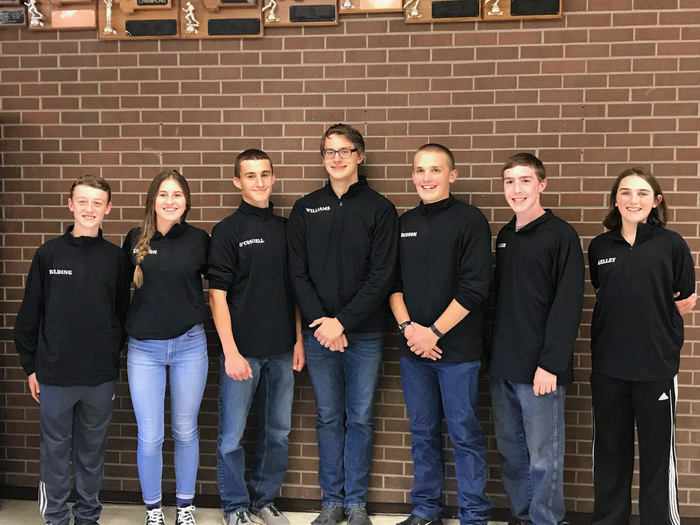 Cross Country runners will be competing for their state meet in Missoula this Saturday, October 20. Wish them luck! Last Thursday was senior night for volleyball as well as cross country. We also had a dedication of the Vo-Tech building into The Joan Schilling Memorial Complex. The volleyball team sponsored a bake sale with proceeds going towards a scholarship. Thank you all who joined us. HUNTERS FEED ART CONTEST WINNERS! 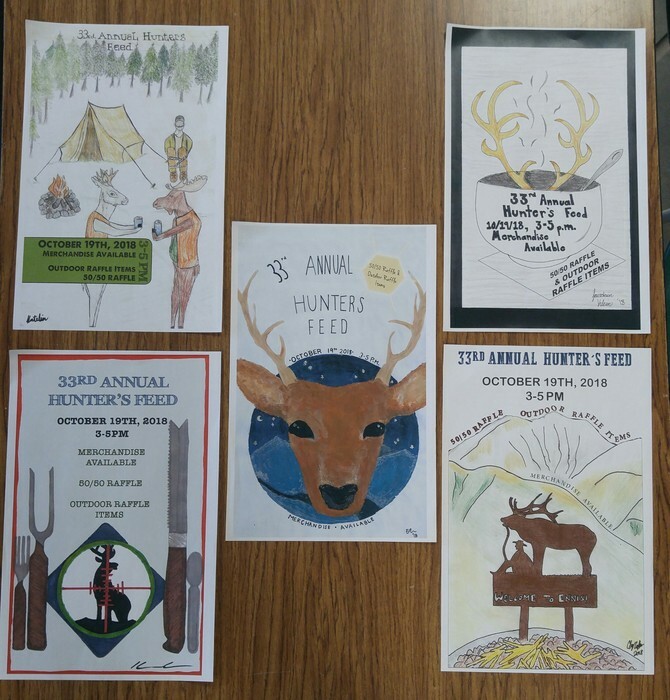 As told my Mrs. Johnson: "The Chamber of Commerce came to Mrs. Johnson's HS Art Class and asked the students to design a Hunters Feed Poster for this year. They wanted to make it a Judged Competition. They thought everyone did such a great job they had a difficult time picking 1 so they picked 5 winners! Huge shout out to these students. 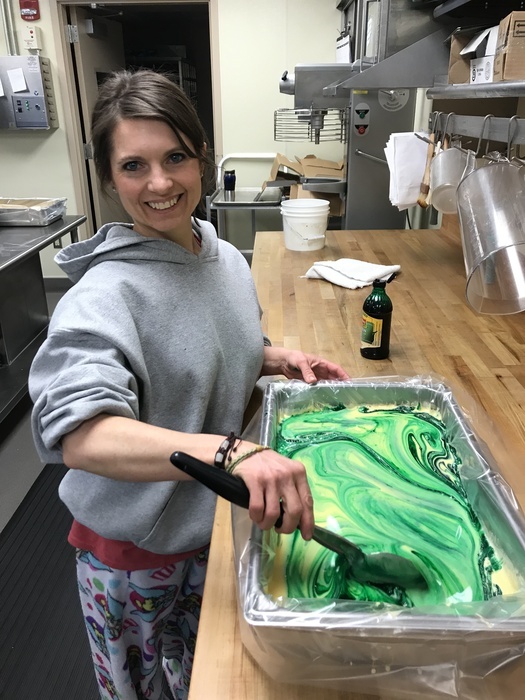 Keep your eyes out around town to see their work on display soon!" Senior night for football is this Friday, October 5 before the game versus Lone Peak. We will honor the senior football players and their families at 6:30 pm. Come cheer on the Mustangs and our seniors at their last home game! Kindergarteners celebrated Johnny Appleseed's Birthday with apple tasting and making apple quesadillas with Ms. Diehl’s Class. Parents of students 6-12 - Please remember to use Charles Street in front of the High School to drop off and pick up your children. Please proceed to Steffen Street to exit the campus. We want to ensure a safe arrival and departure for students. Thanks for your cooperation!! Library spotlight showcasing Taya Keller's favorite books. 4th graders celebrating their freedom to read during Banned Books Week! The volleyball games this Thursday, September 13 against Twin Bridges will be live streamed through the NFHS network. Click on the link in the black portion of the Home Page that says "NFHS Live Streaming." The games will start at 4p.m.! Homecoming week is going fast! Don't forget the parade Friday, 9/7 at 1 pm. The varsity football game starts at 7 pm that night. The Homecoming King and Queen will be crowned at halftime. There is going to be a dance on Saturday, 9/8 from 8-11 pm. Come out and support the kids! Please join us Wednesday, Sept. 5 at the Ennis School open house, BBQ, and bonfire. The open house starts at 5:30, BBQ at 6:15 and bonfire at 7p.m. Help us celebrate all the great things happening at our school! 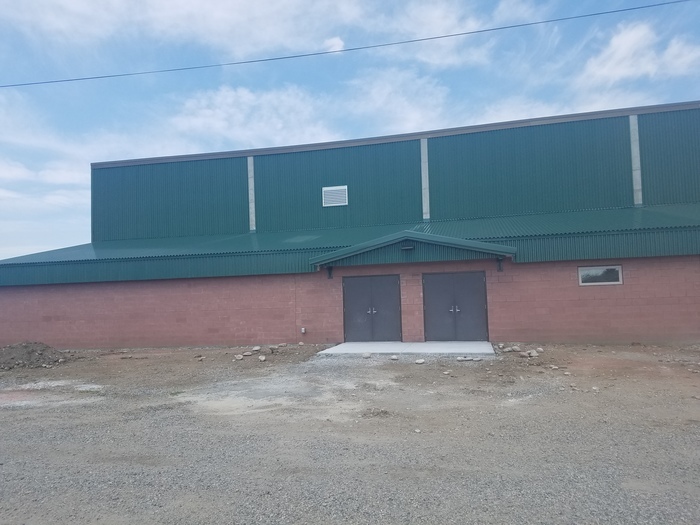 The storage project and weight room expansion is complete. We are thrilled the storage portion has opened up our cluttered hallways making it cleaner and safer. 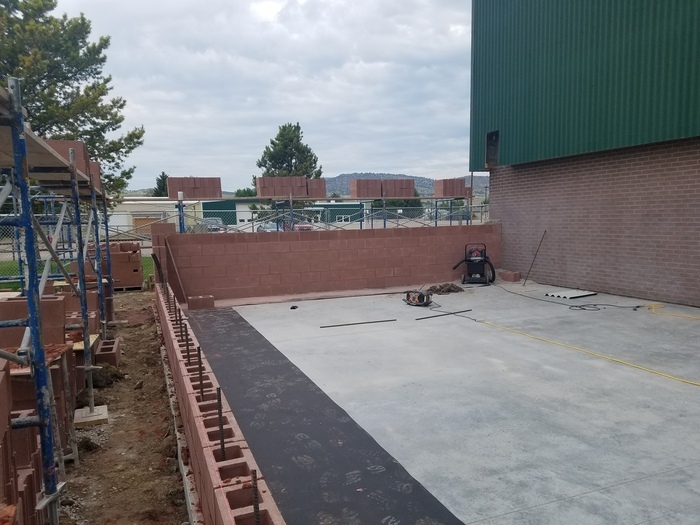 The weight room expansion offers a safer environment for our physical education students and better supervision. Homecoming is September 4-7 and we have quite a few things going on! Wednesday, 9/5 is the open house at 5:30, BBQ at 6:15, and the bonfire at 7:00 pm. The parade will be on Friday, 9/7 at 1:00 pm. Please see the events calendar for the sports schedule. It'll be a fun week! Homecoming is right around the corner and we need to be planning our outfits for the dress up days! So to help everyone pre-plan here are the themes for the week. 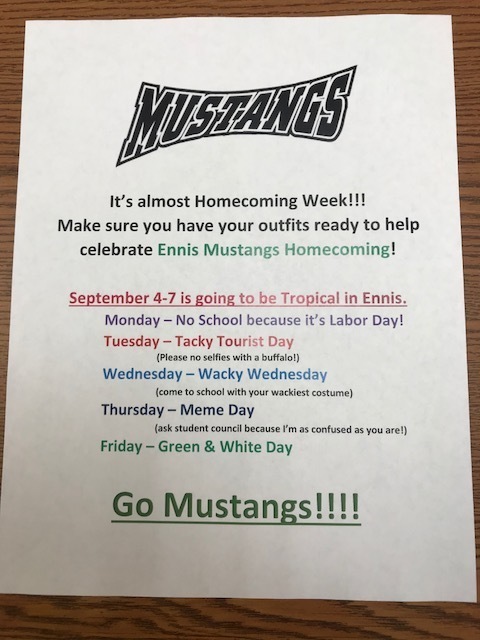 Tuesday - Tacky Tourist, Wednesday - Wacky Wednesday, Thursday - Meme Day, & Friday - Green & White Day! The library received 4 boxes of donated books this summer from a very generous donor! 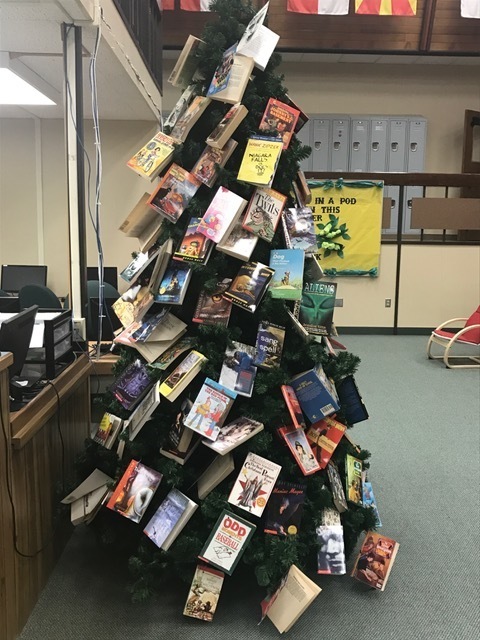 Our librarian created a "free book tree" for kids. Kids can choose a book from the tree to keep as their own. A fun way to promote reading! Thank You Firefighters! Ennis Schools would like to thank all of the firefighters who have been working on the Wigwam, Monument, and other fires in the area. Your efforts have not gone unnoticed - thank you for all you do! A huge thanks to the Groww Program and their donation of a greenhouse to Ennis Schools. Another great example of a partnership and doing whats best for kids. 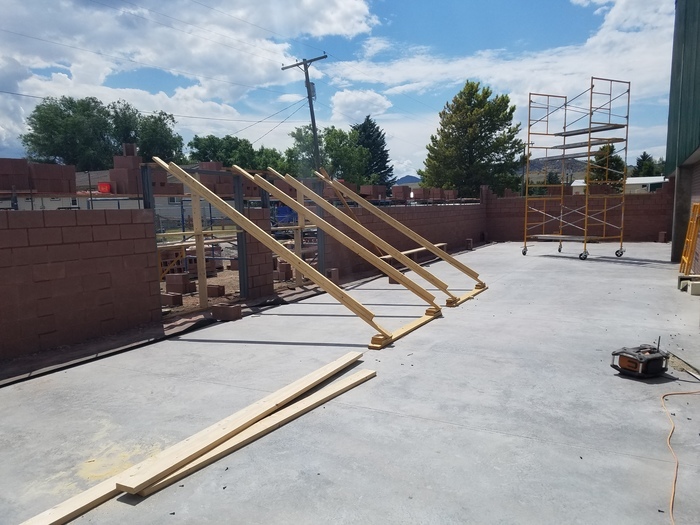 Things are taking shape with the building project. 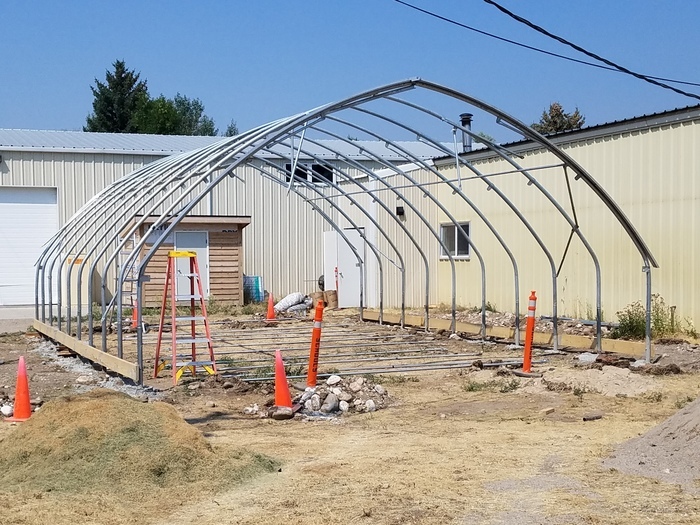 Trusses are up and awaiting sheeting and a metal roof. Excited to see the finished project! A few pictures from inside of the building project. A few more days expected of laying bricks. Just a reminder, both gymnasiums will be closed starting July 23rd to the start of school due to refinishing the floors. This is the last week for open gyms. 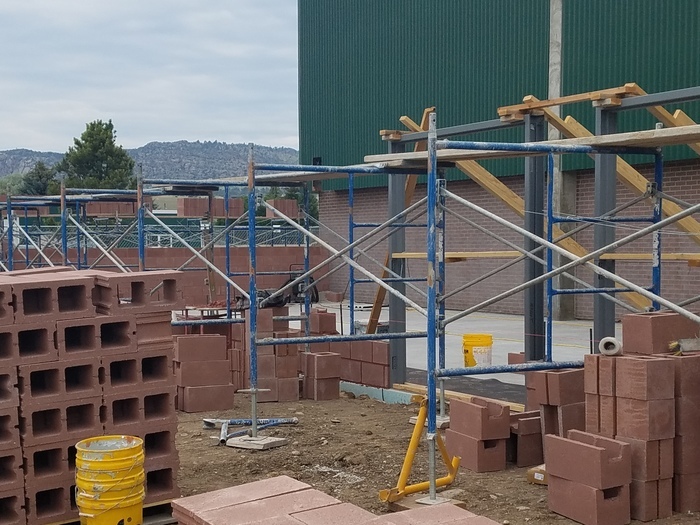 The gym storage addition and weight room expansion is taking shape with the brick layers working away. It will be exciting to see all the walls up and ready for trusses within the next week! 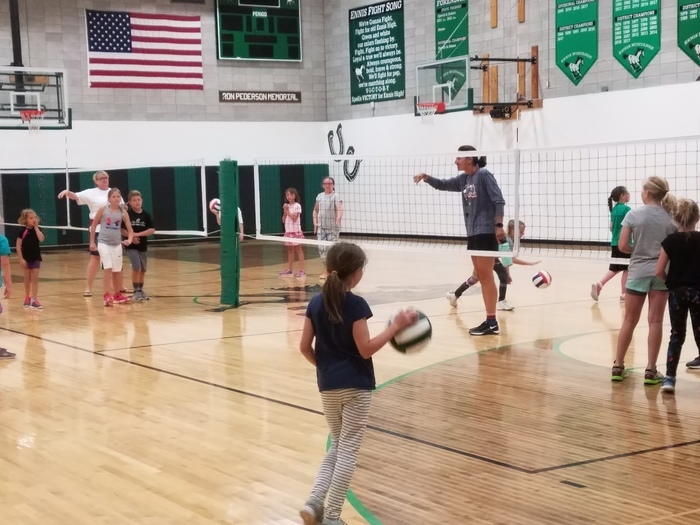 VB camp was this week for our younger students. It is obvious why Ennis VB has such a strong program and a winning tradition. Our coaches are dedicated to all levels K-12 and kids want to play for them. Thanks coaches for all that you do for our kids! 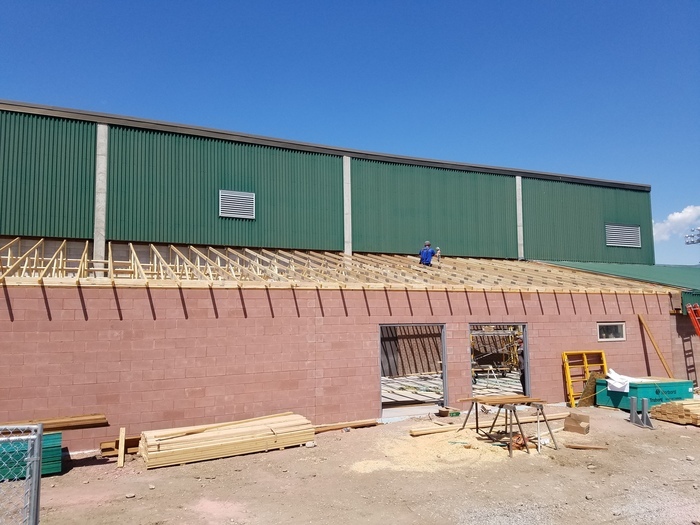 Great progress being made on our building project. 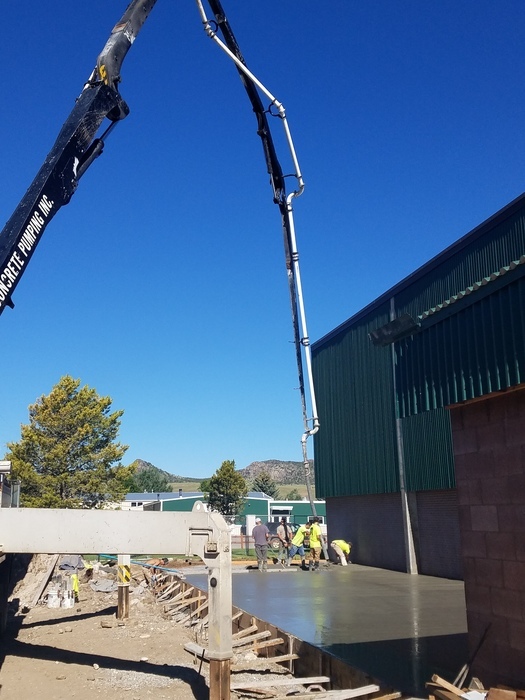 Finally, a break in the weather allowed concrete to be poured today. Things are looking great! Great turnout at our basketball camp this week. Great job kids and thank you so much to our basketball coaches and student coaches for taking time to teach our kids the game of basketball. 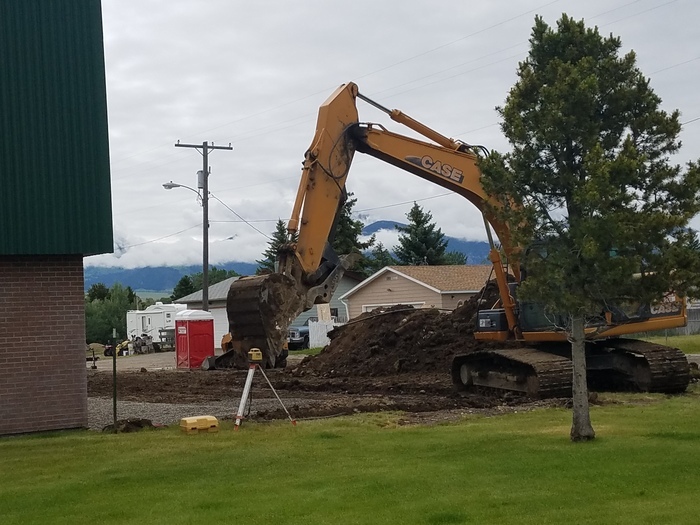 Breaking ground for our new storage facility and weight room expansion. 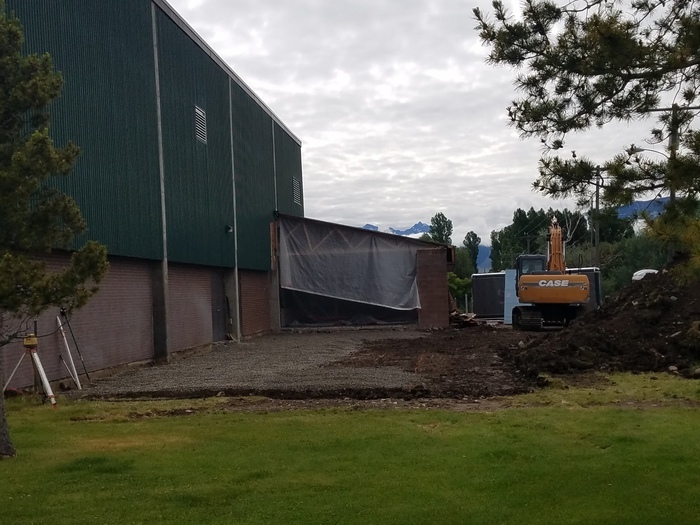 Approximately 1600 square feet will be added for school storage and 400 square feet added to our weight room. 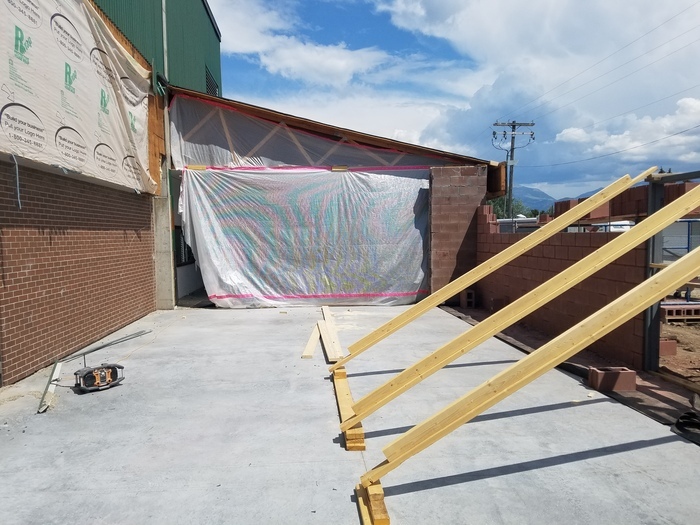 This will allow direct supervision from the gym to weight room. A definite need for the safety of our students and staff! 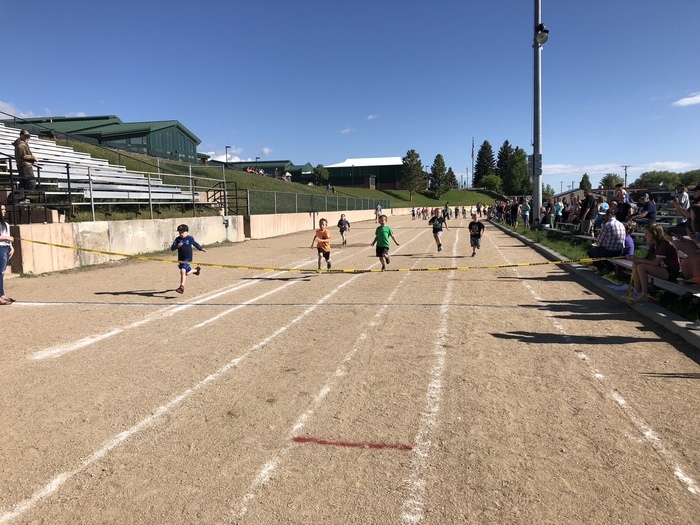 What a fun filled day at our K-4 Elementary Track Day. We had beautiful weather and our kids worked very hard! In addition, our students held a bake sale and received $529 to help two families in need. AWESOME! Had a great Senior breakfast! 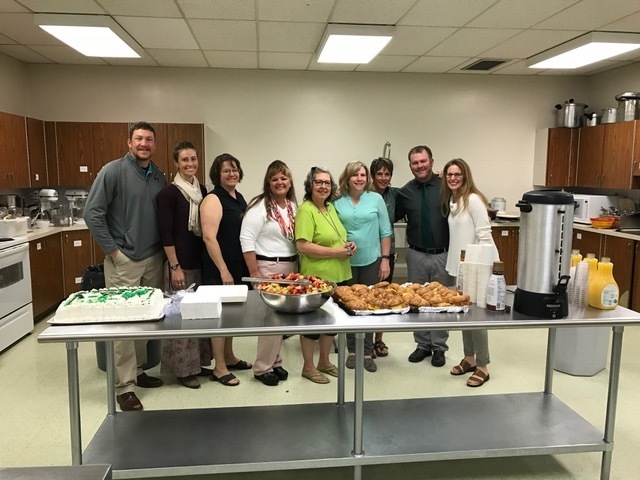 Last day for Seniors at Ennis High and our awesome staff got up bright and early to cook them breakfast. Another great example of staff doing great things for kids! 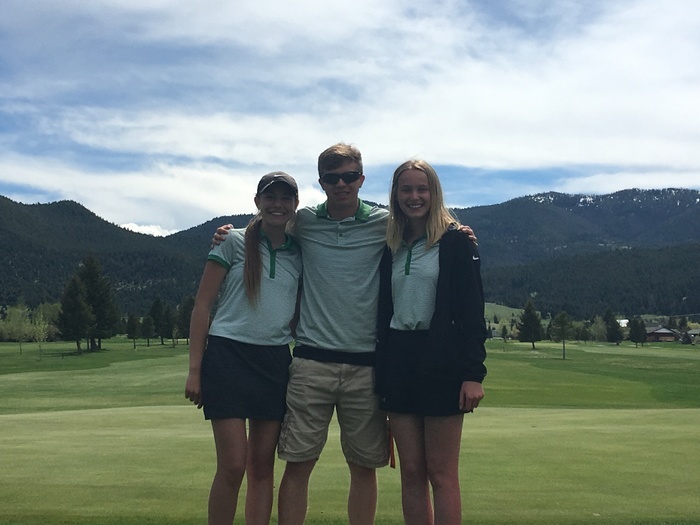 Congratulations to our High School golfers! They represented Ennis Schools very well and one of our athletes took second place overall in the state! Very cool! Thank you to our law enforcement for keeping our community and school safe. 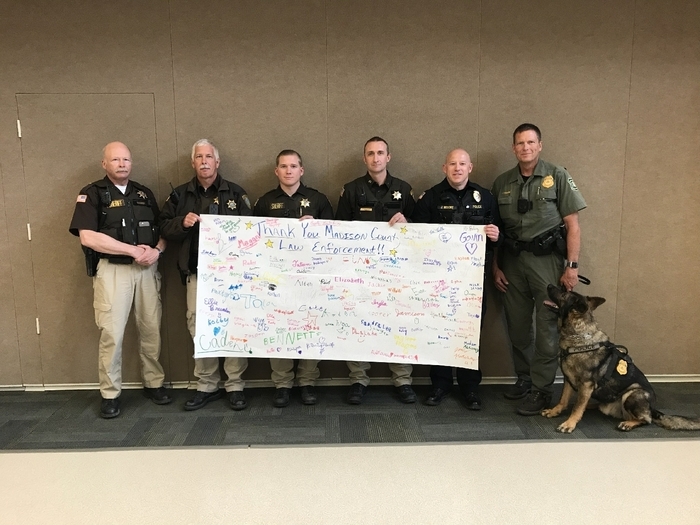 Today was law enforcement appreciation day at Ennis Schools and our students had the privilege of having lunch with them! Thanks for all you do! 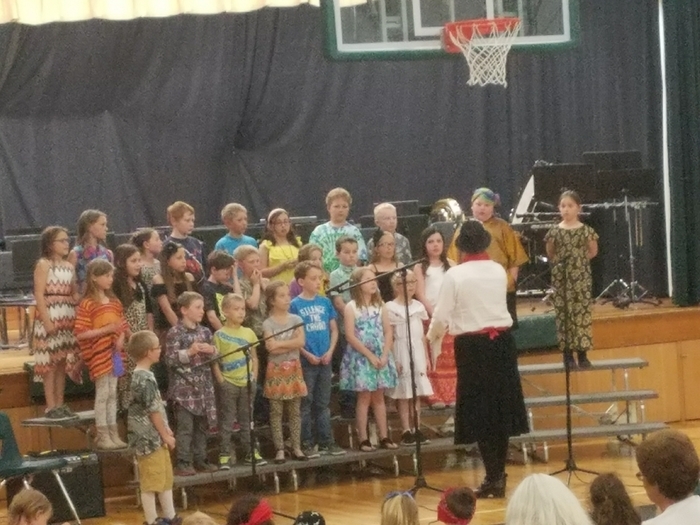 Great job today kids at the Spring Concert! Thanks to everyone who worked so hard to bring this wonderful performance to our community. 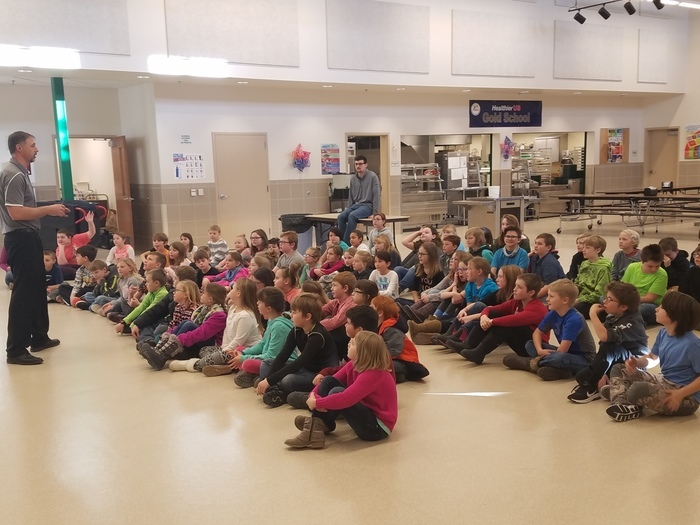 We had a very captivated audience today with our K-5. 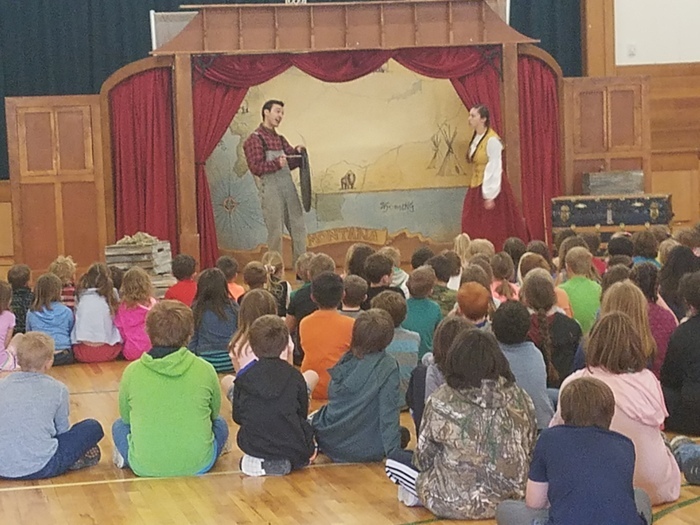 Montana Shakespeare in the Park presented to our kids and was very educational . Kids were engaged and had a blast! Today's mock car accident was a great reminder for students to make good choices when driving. 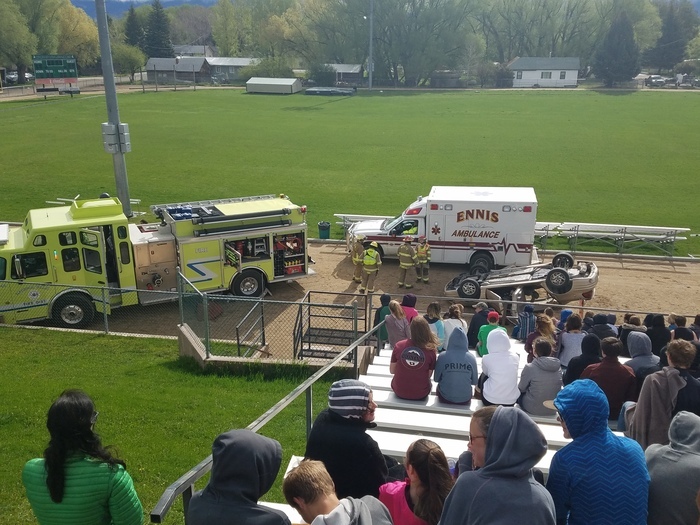 The mock accident in cooperation with law enforcement and emergency services was a great success. On behalf of Ennis Schools, we thank you so much for your continued support of kids. Our general fund levy passed 770-384. We are very thankful that we have such a great community! Today, May 8th is the last day to cast your vote for the school election. It is mail ballot only. Please call if you have questions. Thanks for your support! 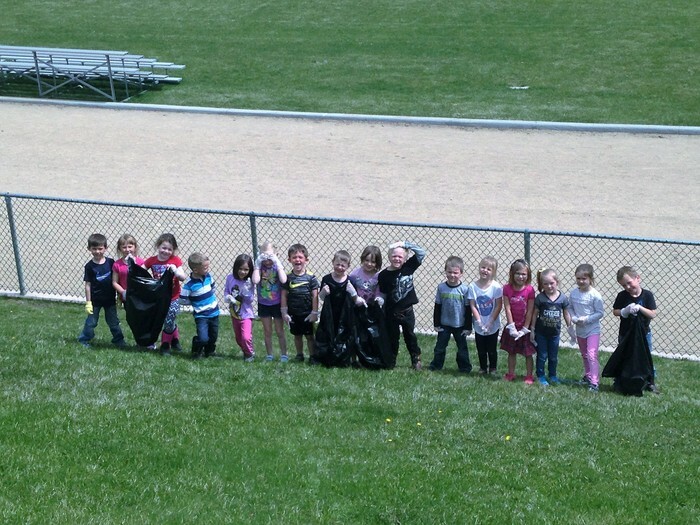 Our students and staff gave back to our community by picking up trash during our annual clean up day. Thanks everyone for all your hard work in keeping our town and community clean! Sneak Preview of "All About Manni"! 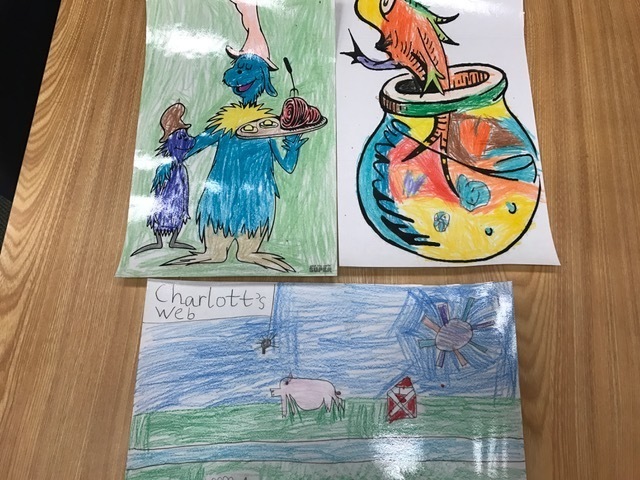 Join the 3rd Grade Classes at the Madison County Public Library to see the rest of the Art Display today from 4:00 pm to 6:00 pm. In addition, an Opening Art Reception will be held. 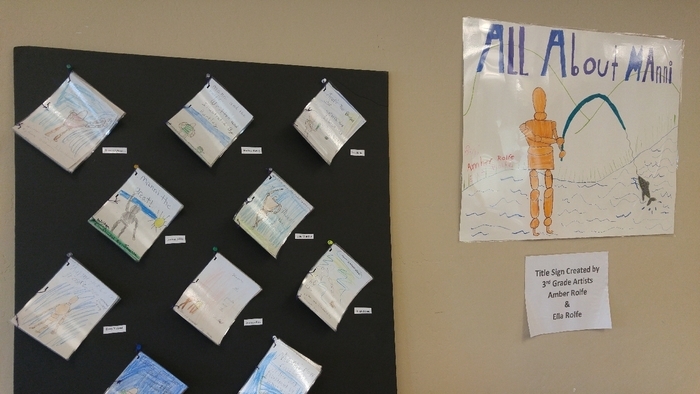 3rd Grade Authors and Illustrators have created books based off of Manni the Art Manikin. You will be able to view the stories and art they have created by reading each Book! Titles range from "Manni Likes to Get Groovy" to "Manni the Baseball Star". Please join us for an evening full of Fun, Art, and Reading! We are getting closer to showtime! 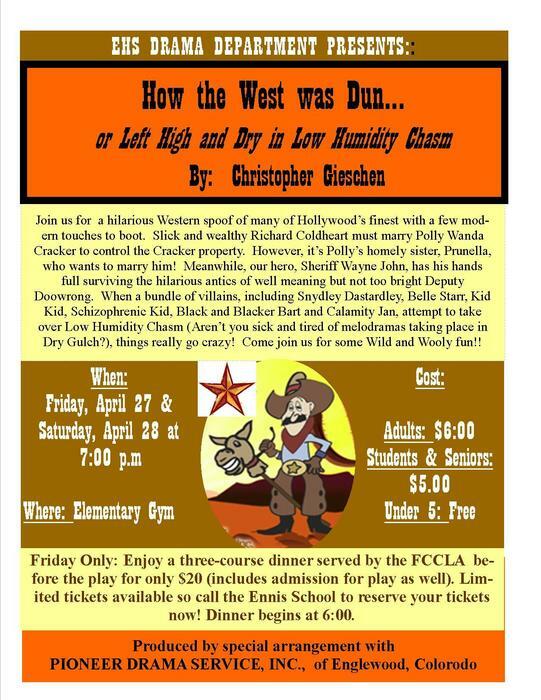 Please mark your calendar for the school play this Friday and Saturday at 7 p.m.! It's going to be a blast! A big shout out to Ms. Unger and the JH art students. 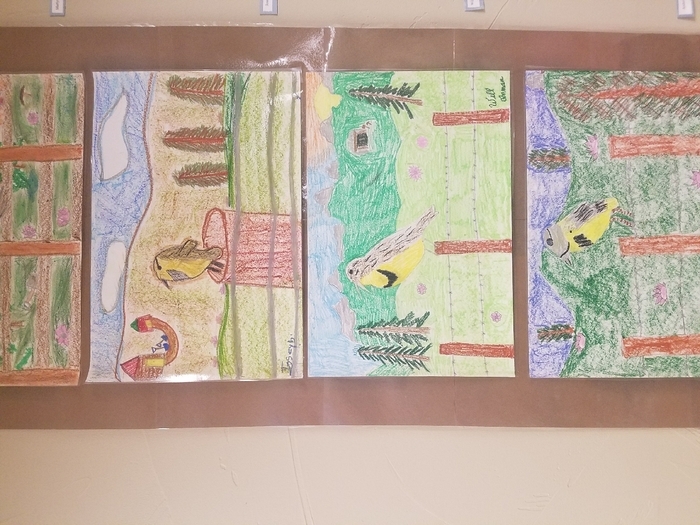 They displayed their oil pastel paintings at the Madison Valley Manor featuring the Montana meadowlark. Thanks for giving to the community! The HS track meet in Bozeman today has been canceled. 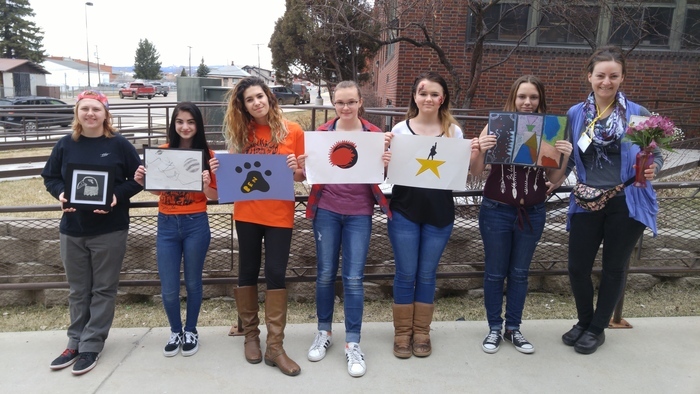 Our HS artists finished their awesome art trip to Montana Arts Interscholastic in Butte. 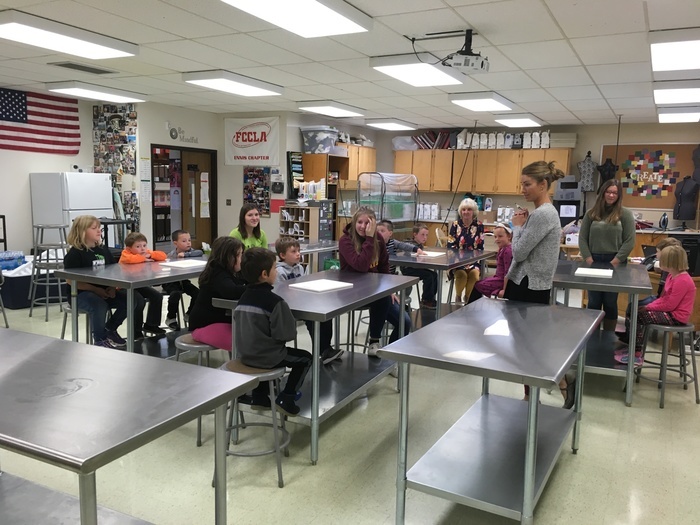 6 art students attended 3 art workshops led by local artists and 1 art critique to view high school art work from 200 high school students around Montana! Some of these works were brought for display and others created in workshops. Awesome work kids! 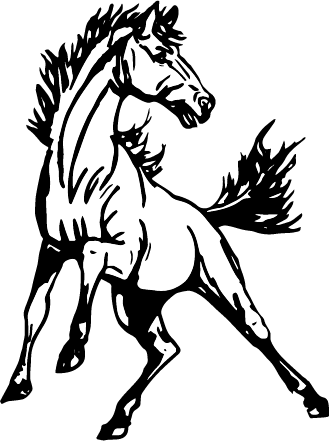 The JH Track meet that was scheduled in Belgrade on Saturday, April 14 is canceled. Have a great weekend. Wishing everyone a wonderful Easter and spring break! Thanks for your support of Ennis Schools! Learning about electricity and building circuit boards! These kids are engaged in science and are loving every minute of it. We have a great bunch of young scientists! Keep up the great work! 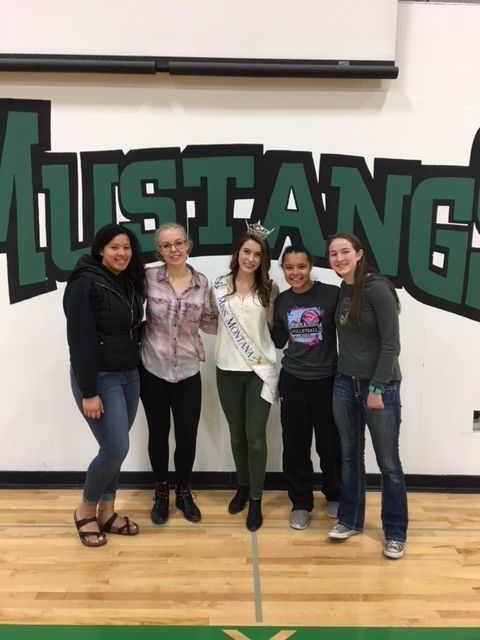 The K-12 students had a great time listening to Miss Montana and her message of "giving to your school and community." What a great message. Thanks for being part of the Mustang family for a day! Bus driver informational meeting March 27th @ 6:30 in the HS library. Come learn about being a driver for Ennis Schools. We are willing to be flexible with route schedules. We hope to see you there. How awesome is this? 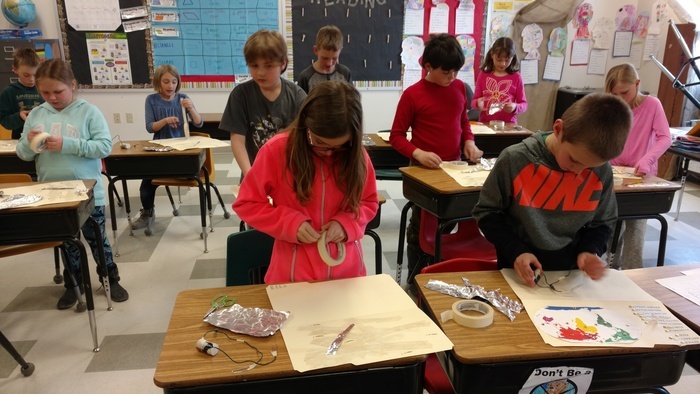 Our K-5 students making place mats during Read Across America Week for our Ennis Senior Center. Great work kids and thanks for giving back to the community! 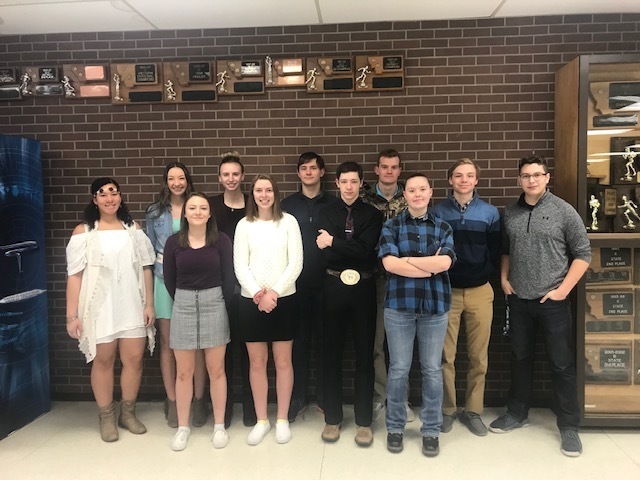 Congratulations goes out to the HS students who competed in the Regional Science Fair in Butte. 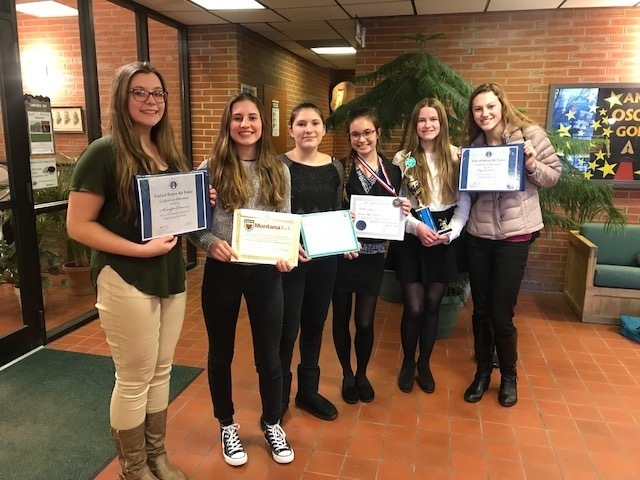 Our HS students represented well and came away with some very high honors! Way to go kids! Another picture of the Missoula Children's Theatre. These kids were great! What an outstanding performance by outstanding performers!! 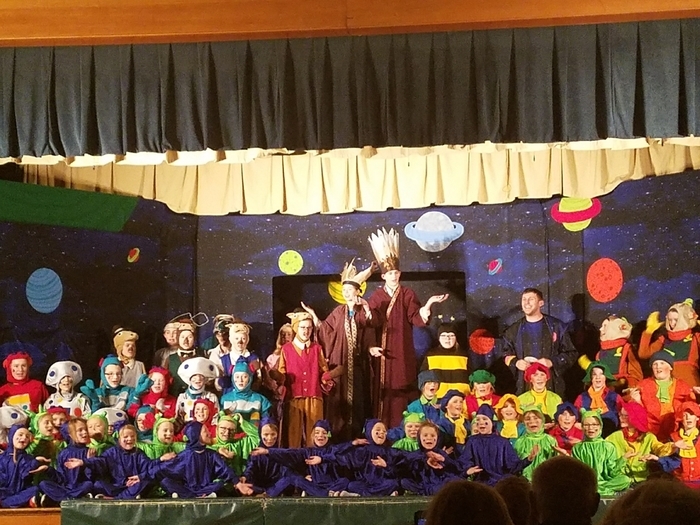 Great job kids in the Missoula Children's Theatre tonight! A huge thank you to everyone who works so hard to bring this opportunity to kids! State bound! 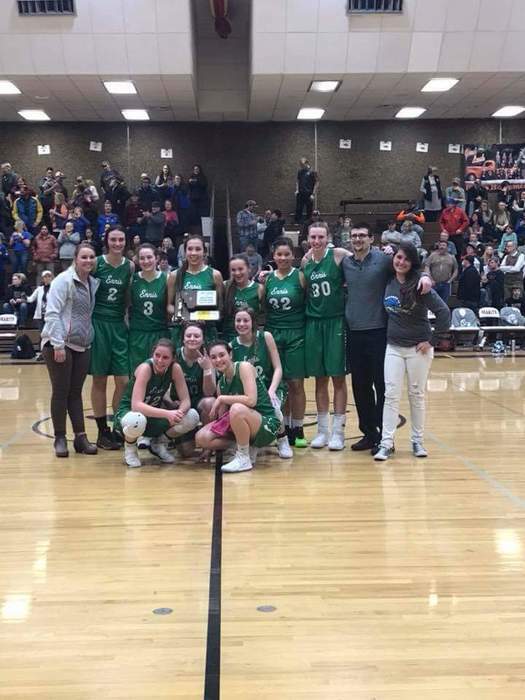 Lady Mustangs punch their way to state defeating ClarkFork in the challenge game 54-33. Girls will play Winnett/Grass Range in the opener at 8:00p.m. on Thursday, March 8th. GO MUSTANGS! Our teaching staff getting the place rockin today at the pep rally! It was loud and proud! Having a little one on one time with a book in the library this Valentines Day. Our librarian making reading fun and exciting. Great job kids and keep reading! This is what it's all about! What an emotional and proud moment for our Mustang family! 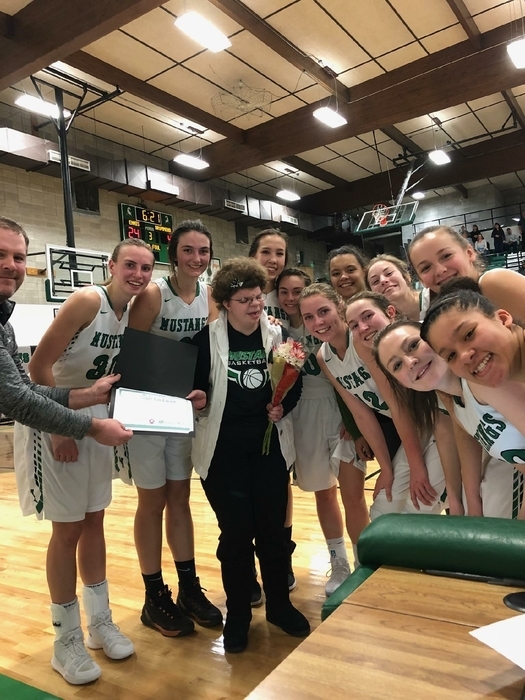 We are so proud of our Montana High School Association Super Fan! Congratulations! Celebrating learning with our elementary students today! Those who earned awards such as Perfect Attendance, Mustang Achievers, and Good Citizens were recognized for their hard work. Great job kids! 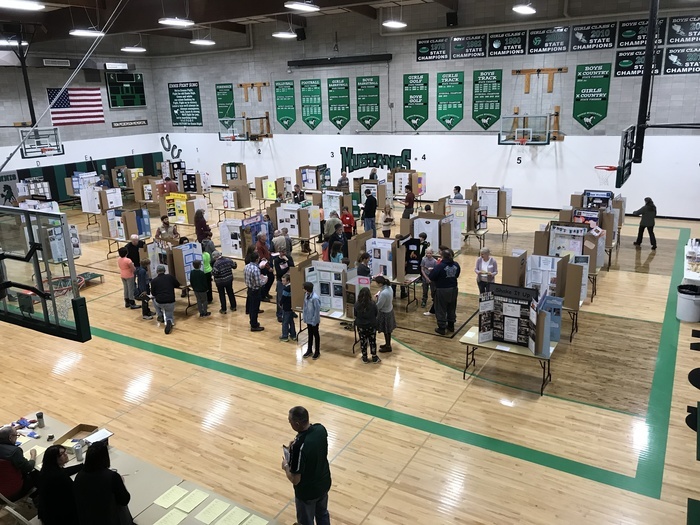 What an outstanding showing by our students at the Science Fair. What a great way to show off their talent. Could not do it without the help and support of the staff and community. Great job!